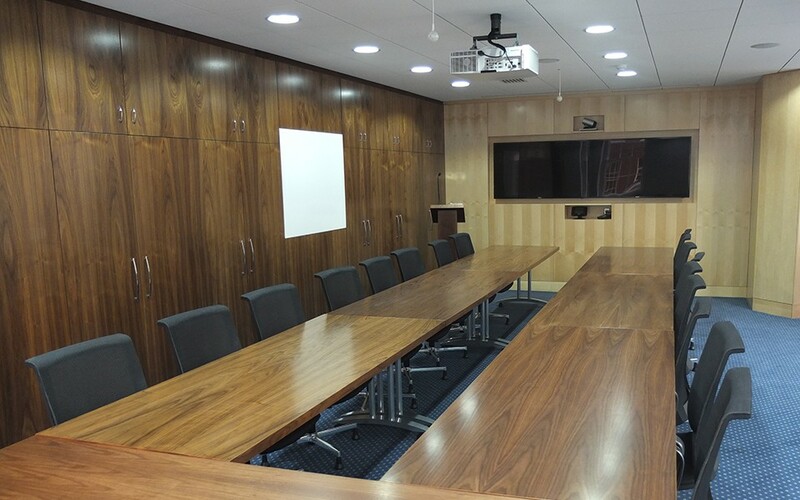 The Rose Heilbron Room provides top of the range, video conferencing facilities, in central London. 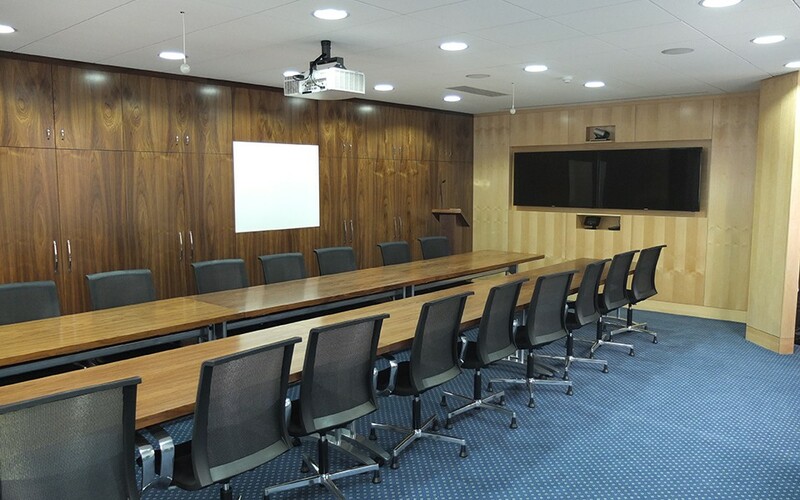 With dual screens, double cameras and a touch screen control panel, users will be able to make both IP and ISDN video calls. A link up with the equipment in the Bingham Room means that larger audiences will also be able to benefit from the facility. We also offer complimentary wi-fi. 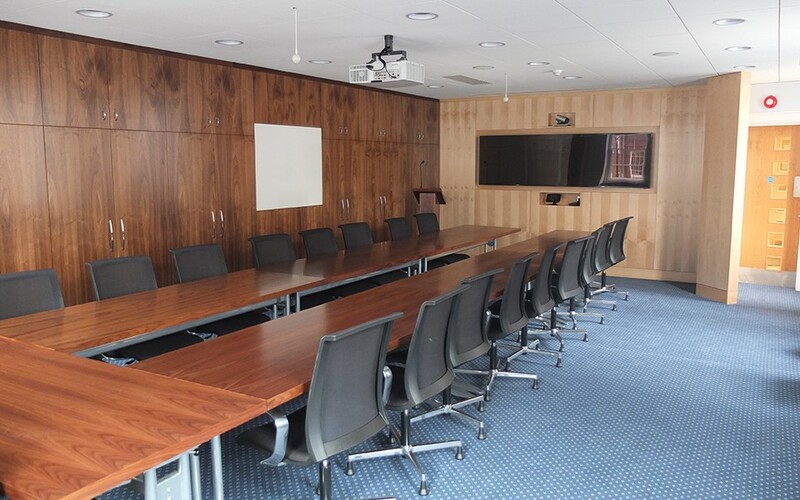 The HD equipment installed in the room ensures that it can be used for boardroom meetings, presentations and seminars. The room will be available to hire by the hour, with a whole day rate for those wishing to make use of the room for more than just a quick link up. The room has natural daylight and air conditioning. Catering and car parking are also available upon request. The Rose Heilbron Room is available to hire all year round, including Bank holidays. The Rose Heilbron Room is not available for weddings. We offer full day or half day hire rates (available on application). Please contact the banqueting team to discuss your requirements. 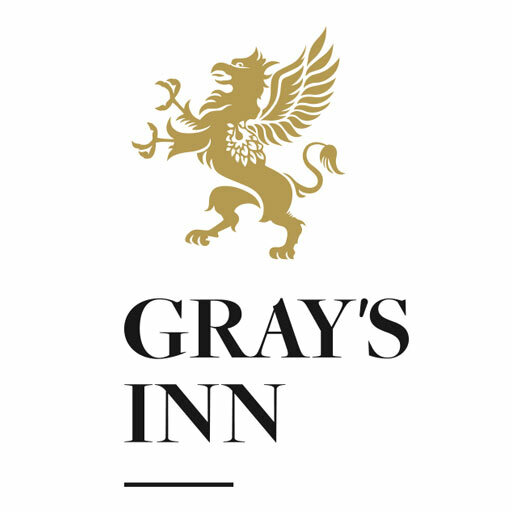 We offer full day hire rates or an hourly rate (available on application). Please contact the banqueting team to discuss your requirements.